With a major strike set to begin at dawn, South Africa's Impala Platinum (Implats) has shut down its Rustengurg operations for safety reasons. After six months of failed negotiations between the company and the Association of Miner Workers and Construction Union (AMCU), Rustenburg miners will officially be on strike as of the morning shift on January 23. Workers at Anlgo American Platinum (LON:AAL) and Lonmin (LON:LMI) will also begin labour action tomorrow. Together these companies produce more than half of the world's platinum. According to Reuters, Implats shut down its Rustenburg operations early in order to ensure the safety of its employees. Labour action and rivalries between mining unions have often led to violence in South Africa, with the most notorious incident resulting in 34 deaths at a Lonmin mine close to Rustenburg in 2012. An Implats spokesperson told Reuters that workers who reported for work during the strike would be paid even if operations were shut down. Implats' Mimosa, Zimplats, Marula, Two Rivers and refining sites will not be affected by the impending strike action, the company noted earlier this week. Implats recently signed a two-year wage agreement with the National Union of Mineworkers – a major rivcal to AMCU – at its Marula and refining operations. AMCU has been increasing its membership among platinum miners over the past year; Last August the organization officially ousted NUM as the official union for Lonmin. Labour action can have – and has had – major impacts on production. In 2012, Anglo American reported a 29% drop in output due to strikes. A research director at Thomson Reuters GFMS recently told Kitco News that investors should keep an eye on platinum as it's "almost inevitable" that the labour action will lead to a "disruption on the platinum side." Meanwhile, the South African government has stepped in to try and mediate the dispute. According to Reuters the three companies have agreed to meet and the AMCU has "indicated that in principle they are willing to negotiate." The gold sector could also face strikes but a court is currently blocking this while it reviews the legality of AMCU-led labour action in the bullion sector. Wage negotiations have been dragging on in the platinum sector for more than half a year now. Implats' latest offer increases the minimum guaranteed wage from R7,996 ($735) to R10,017 ($921) per month for surface workers and from R8,697 to R10,896 per month for underground workers. 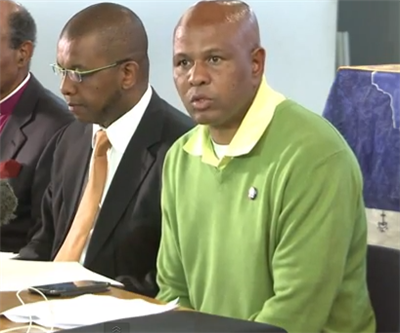 AMCU is asking for a minimum basic wage at the entry level of R11,500 and R12,500 for surface and underground workers respectively, and a range of other improvements in allowances and conditions of employment, Implats noted earlier this week.